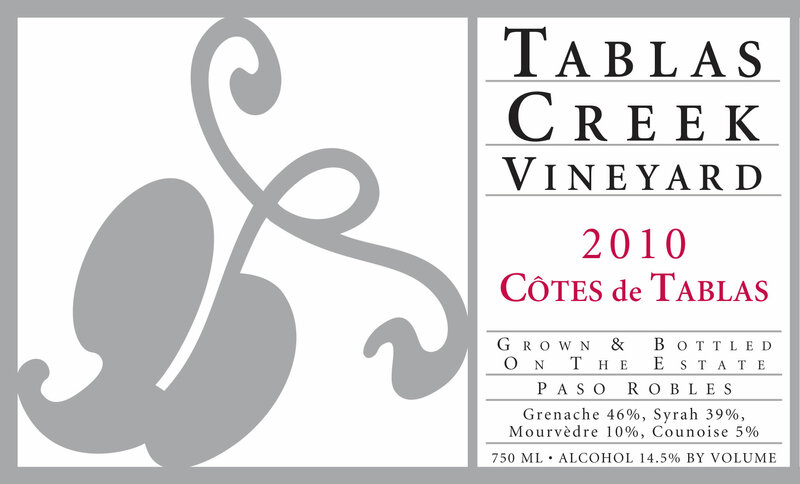 We are thrilled to announce the release of the 2010 Cotes de Tablas, the follow-up to our Wine Spectator "Top 100" from 2009. The wine has been allocated out nationally to our distributors by state, and was also a part of the March 2012 VINsider Wine Club shipment. It is now available for purchase. The 2010 Côtes de Tablas shows a spicy nose of crushed rock, licorice and black cherry, with sweet spices like nutmeg and cinnamon coming out with air. The mouth is nicely vibrant with flavors of fig and cherry, leather, balsamic and mineral, with chalky Grenache tannins coming out on the lingering, spicy finish. Drink now and for the next decade. All varietals were fermented in a mix of stainless steel and wooden upright fermenters with the use of native yeasts. After pressing, the wines were racked, blended, aged for a year in 1200-gallon French oak foudres, and then bottled in January 2012. The wines underwent only a light filtration before bottling.